Settling on a name for your newborn is definitely something all parents spend time doing, but one decision that is rarely thought of or overlooked is saving your newborn’s cord blood. Saving cord blood is not something doctors or nurses bring to any pregnant woman’s attention, however, this article will be the missing voice. Saving your newborn’s cord blood means starting with cord blood banking. This is simply allowing a legitimate laboratory designed for storing cord blood taken from your newborn. In their laboratories, they will freeze the it where it can be stored indefinitely, under strict conditions. Why is umbilical cord blood so important? The ultimate reasoning behind the importance is that it can only be captured once, then the resources are eliminated forever. Once your baby is born, there is a tiny window allowed to qualified technicians who collect the blood from the umbilical cord right after birth. Doctors trash the remains of the umbilical cord and placenta right after birth, so knowing ahead of time you want to store your baby’s blood is vital. 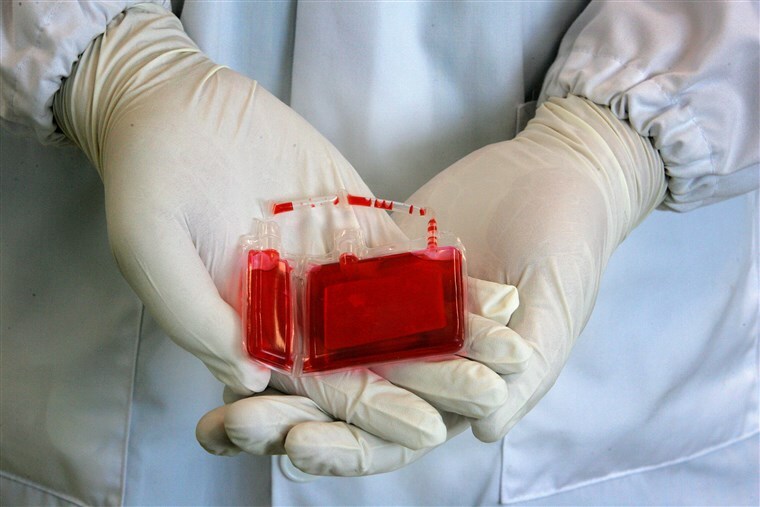 Once collected, it can be used to save others from life-threatening illnesses such as leukemia, cancer, and many diseases still being researched. One main reason behind the importance of saving your newborn’s blood is that its use is mostly geared to close relatives within your direct bloodline. There are a small number of programs in the US currently (December 2011) that save cord blood. If you still are unsure how saving your newborn’s blood can be so important, you should research a program dedicated to storage. The main programs available and most popular are Cord Blood Registry (CBR), ViaCord, and AlphaCord. The programs do have a cost, but they are totally committed to saving lives in the future which is priceless. These companies all have storage facilities totally dedicated to freezing your baby’s blood for a future time when it may be needed. They have back up energy sources to ensure it does not thaw under weather circumstances, guarding your most precious life-saving resource; cord blood. Storage is also with the highest tech and up to date equipment which freezes blood to -190 Celsius. Special thanks are there to protect it from nitrogen vapor or other damages. Facilities that store blood from the umbilical are vital and saving lives is their most important goal. If you are considering in one day being a life saver, you should consider banking your newborn’s blood. It is a decision that can only be once. So make it wisely. Especially if it is your own child you get to save. The special blood has stem cells not available synthetically. So using your very own child’s blood straight from the umbilical cord can be more than just giving blood. You can give life. After cord blood collection, the blood is present in bags or vials. It is now going to the cord blood bank through courier service. Once it reaches the bank, the sample is now in a unique identification number. Thereafter, the doctors separate the stem cells from the blood and store them cryogenically (by freezing them in liquid nitrogen). After that, the cord blood stem cells are back to their previous state in either Allogeneic Procedures or Autologous Procedures. During cord blood storage, each vial is good with cord blood number, the name of the baby, date of birth, date of processing, and the contents. Then, it enters the first stage of cryopreservation. The vials are present in two cryo-tanks having different temperature and then into tanks containing liquid nitrogen. This step ensures the safety of stem cells. The series of falling temperature prevents the stem cells from undergoing a shock due to the intense negative temperature of – 32 degree Fahrenheit. To prevent ice crystals from forming over the stem cells, it is important to freeze the cells gradually. For this, a particular controlled-rate freezer is present. The handling processes and the freezers are there to prevent “Transient Warming Events (TWEs). If there is a fluctuation in temperature, the cells will suffer an irreparable damage. While freezing living tissues, they are in a solvent that safeguards the cells against ice crystal formation. Ice crystals can break the cell membranes. The most common solvent used for cryopreservation is DiM ethylSulOxide (DMSO), generally in 10 percent solution. It serves as a shield around the cells. Before placing the cells in liquid nitrogen tanks at a temperature of -196 degrees Celsius, the cells are present to a gradual freezing process in a vapor tank. This contains liquid nitrogen up to 25 inches to make sure the temperature stays at the recommending temperature. All the equipment is in a good and secure facility. Some of the public cord blood banks with heavy budgets make use of “BioArchive” freezers. They are liquid nitrogen freezers using a proprietary, a robotic system by a computer for cryopreservation and store a maximum of 3,626 bag units. The location, as well as the retrieval of each unit, is under counting. The purpose of the robotic arm is to prevent “Transient Warming Events (TWEs) when the blood samples are not present in the freezer. A majority of the public cord blood banks in America are making use of “dewars”. They have insulated tanks with lids. The chief disadvantage of these tanks is that the lid has to be lifted open every time you add or remove the samples. The temperatures are under constant evaluation and quite effective for prolonged storage. The cord blood is present in either vials or bags. The freezer racks get complete with cord blood containers. They should be good at an equal distance from each other. This is to ensure the stability of temperature. The freezer has racks to hold both bags and vials. But it is not advisable to mix the containers in one freezer. Therefore, most of the banks concentrate on one kind of container. The cold nitrogen maintains the cryogenic temperature. Some cord blood banks prefer liquid nitrogen while others prefer cold nitrogen vapor. There are certain pros and cons of both types of nitrogen. There is a documented chance of a contagious disease leaking from a bag and infecting the recipient. Its long-term viability is uncertain. As per theory, the stem cells should remain viable forever. However, the research on cord blood has started only since the 1970s. Therefore, the maximum storage time and potential usage of the cells are in a confusion. However, cord blood stem cells, which are running for 14 years in transplants successfully. Therefore, we can say that the stem cells have a good shelf life and can be safely in use after many years for cord blood transplant if storage is proper. It is always better to be knowing about cord blood banking before going for it.